Discover the delights of northern Spain and the Pyrenees Mountains with this fabulous two week tour. Explore the lesser-known areas of Catalonia and Aragon, where there is little traffic, and therefore excellent driving on exciting, winding roads, accompanied by far-reaching views of hills, mountains and lakes. Starting and finishing in Bilbao, you can explore a little of Rioja and its vineyards and plains, see Europe’s largest desert, travel across the Sierra de Guara, discover historic hilltop towns and villages, explore the beautiful Pyrenees mountain range on both the Spanish and French sides, travel through the mountainous principality of Andorra and visit the enchanting seaside resort of San Sebastian. For those travelling from the UK leave Portsmouth on the Brittany Ferries sailing to Bilbao. The ferry departs at 11.45, and we shall have a welcome dinner for everyone onboard this evening. For lunch there is the choice of restaurant or cafes. A sea view, en-suite cabin is booked for your comfort. You will have one night on board the ship. Arrive in Bilbao at 12.45pm. Drive south to Vitoria then over the Balcon de Rioja with its beautiful views of the plain below, to Laguardia. Head to our fabulous and unique hotel, near Tudela, where we shall spend two nights. The hotel has won numerous architectural and design awards and is renowned for its food, which is locally grown. This is a pace where there is a wonderful light all year round, and the star and moon-gazing is incredible. Dinner is included on both evenings. Visit the historic town of Tudela. Then explore the sensational landscape of the Parque Naturale Bardenas Reale with its dessert rock formations, which is Europe’s largest desert. Or spend a day relaxing in this amazing landscape, drinking in the views. First stop of the day is at the very scenic to the small town of Olite, which boasts a magnificent castle, once the most sumptuous royal residence in Europe. Explore the medieval rambling streets and sample some local cuisine. Then head on to pretty Ujue, a small hilltop village that is well worth a stroll around. There are sensational views all around during today’s drive, including the amazing Los Mallos de Riglos rock formations. Drive east, surrounded by beautiful views, to visit the impressive Castillo de Loarre, which is set well into the rock and is virtually impossible to see until very nearby. It is then a short drive to the Sierra de Guara, an area of sculpted gorges, painted prehistoric caves and appealing villages. Stay overnight at a lovely small hotel and enjoy dinner in the restaurant. Drive some superb roads today, winding around mountains, through canyons and gorges, across high cols, and along river valleys, to the lovely town of Solsona. Once again the views are spectacular and the roads are fun to drive. Stay overnight in a wonderful hotel that has been in the same family for over 80 years, and has been subject to a recent, outstanding refurbishment to create a very special place with fantastic flair. There is also a spa with hot tub, sauna, stream room. and other facilities. Dinner is included but there is a choice of restaurants in the hotel: a formal dining room, or a more relaxed tapas restaurant. Leave Solsona and head across to Berga, and then Ripoll. 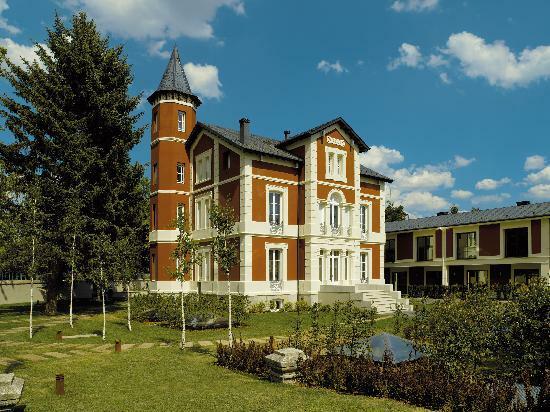 Drive along yet more excellent mountain roads, passing Spain’s oldest ski resort, La Molina, and then descend into the lovely town of Puigcerda, located in a wide valley, adjacent to the French border, and just to the south of Andorra. Stay for two nights in a superb hotel in the centre of town, with underground parking, with views across the lake and mountains. The hotel also offers a superb spa for those wishing to relax. Dinner is in the renowned restaurant. A day off to relax or explore the area. Perhaps try an early morning balloon flight (weather dependant) across the mountains, which is highly recommended as a sensational way to see the Pyrenees. Puigcerda is very pleasant for a stroll, with a number of cafes to soak up the sun and atmosphere, or there are a couple of golf courses in the vicinity. For water lovers there are many rivers nearby for fishing, rafting or canoeing or the coast is only an hour away. Alternatively enjoy a drive to Andorra and see the Moto Museum. Dinner is not included this evening but there are some lovely restaurants in the town. A wonderful drive across mountain passes and along pretty valleys, surrounded by breath-taking scenery. 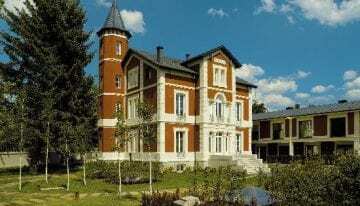 Stay in a lovely private alpine hotel in the Vall d’Aran, surrounded by mountains. There is also a spa with sauna, an indoor swimming pool and Turkish baths. Dinner is included and the restaurant serves a range of Pyrenean specialities and modern dishes in a warm atmosphere. Another day of stunning driving on wonderful, meandering roads through canyons and across mountains. The scenery is captivating and dotted with untouched villages built from local stone. Stay for the next two nights just south of the French border, in the Valley de Tena, at a gorgeous, character hotel, with its own spa. Dinner is included this evening only. Enjoy another day of relaxation. This is a wonderful spot to walk in the mountains, visit the nearby villages, even head into France to visit Pau or the pilgrimage town of Lourdes. Dinner is at leisure and there are a number of restaurants within walking distance of the hotel. Cross the border into France, heading towards Oloron, before climbing back over the Pyrenees, into Spain again. Wind across the mountains to the fashionable sea-side resort of San Sebastian. Stay for the next two nights in a superb luxury hotel, in the centre of town, overlooking La Concha Bay. Dinner is not included on either evening as San Sebastian is renowned for its many fabulous places to dine. Spend the day exploring San Sebastian. The hotel overlooks the beach, and is very close to the old part of town. San Sebastian is the summer capital of Spain: it is here where the Belle Epoque lives on, with its blend of cosmopolitan style and old-world ambience. San Sebastian is famous for its food and the hotel is surrounded by great tapas restaurants. The morning is at leisure to further explore San Sebastian. For those heading back to the UK, drive to Bilbao for the final night to stay in a luxury hotel in the city centre, overlooking the Guggenheim Museum. Spend the afternoon enjoying the delights of Bilbao or visit the Guggenheim Museum. Dinner is included. The ferry departs at 10.30am so most of the day will be spent onboard, relaxing at the end of the tour. There will be a farewell dinner tonight in the ship’s restaurant. Arrive in Portsmouth at 9.00 and depart for home. Stay in some lovely guesthouses and hotels, including stylish mansions, chic country hotels, mountain lodges and historic Paradors. All the hotels are individual and unique and overall, are of an extremely high standard. Due to the nature and age of these hotels the rooms vary from charmingly comfortable to wonderfully luxuriant. We have hand-picked the accommodation for their unique atmosphere and style. All accommodation includes breakfast, and dinner is included where stated. Suitable parking is, of course, a feature of each hotel, but it is only occasionally undercover. More spacious and air conditioned. En-suite. Double bed. TV & DVD player. Tea and coffee making facilities. Complimentary breakfast served in your cabin on overnight crossings. Travel to the continent: Return ferry crossings are reserved with Brittany Ferries from Portsmouth to Bilbao. This Pyrenees Tour is open to classic, vintage and sports cars of any age. You will also need your vehicle registration documents, driving licence (a photo-card licence or international permit is best), and international insurance cover. Please check your travel and motor insurance that you are covered for travel in the required countries. You are also required to safety equipment: carry a warning triangle, first-aid kit, fluorescent jackets, set of replacement bulbs and a national identification sticker. The most important requirement is that you take pleasure in motoring through fabulous scenery, relish individual, character hotels and enjoy the company of like-minded travellers – and maybe the occasional glass of Rioja wine! Price per person, based on two people sharing a twin or double room and one car.